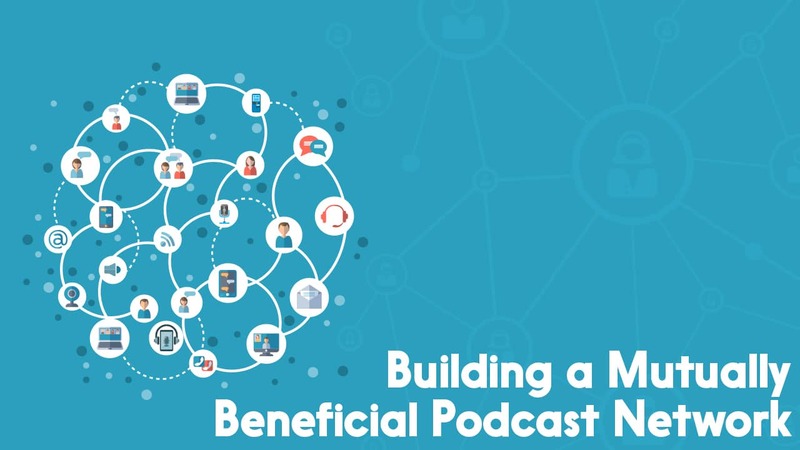 If you have multiple podcasts, or you’re friends with other podcasters, you might see the benefit of starting a podcast network. It can be a way to cut down on some costs, do some interesting marketing, and sound more official. But starting a network isn’t quite as easy or beneficial as it may seem. Using the examples Radiotopia (99% Invisible, The Allusionist, Everything Is Alive, etc.) and Multitude (Spirits, HORSE, Join the Party, etc. ), let’s take a look at what makes a network beneficial to you and the listener. There’s no one perfect way to make a network. Everything will differ for each network. This article will give you some guides, though, and the right questions to ask before you start. Why start a podcast network? So, first, let’s ask the important question: why start a network with other podcasts? What are you hoping to gain from making a network? How do you plan on achieving those goals? How will forming a network help you on that endeavor? Starting a network—especially with other people—is a huge business move. It’s a lot of work to take on, from branding to member agreements to organizing your efforts. It’s not a decision that should be made without deep consideration. So, think about your goals, and the goals of everyone you’d want as aspect of your network. How will having a network help you reach those goals? Will it be worth the effort? There isn’t a perfect formula to figure this out. It’s going to be case-by-case, and you should take your time before taking the leap. What is your network all about? One of the biggest mistakes I see small networks make is having no concept of brand identity. In my opinion, having a network of people who make business podcasts actually isn’t enough to justify having a network. Having a network will help listeners find other podcasts like yours. Most people don’t need five different podcasts about business, though. Instead, they’ll want to find other podcasts that feel the same in your network. Your network should be a collection of podcasts that all feel the same and have the same philosophy. Let’s look first at Radiotopia. Radiotopia has many shows, but if we just focus on 99% Invisible, a podcast about design; The Allusionist, a podcast about linguistics, and Everything Is Alive, a fiction podcast of interviews with inanimate objects. it’s because they’re all beautifully recorded and edited, at least somewhat educational, and have a humanistic core without being about people. Next, let’s talk about Multitude, focusing on Spirits, a podcast about myths and legends; HORSE, a podcast about basketball; and Join the Party, a Dungeons & Dragons podcast. Again, these don’t seem related. Multitude is tied together not by content, but by a feeling of genuine enthusiasm, goofiness, and sincerity. Before you start a network, think about what your network will feel like. You could even take the concept of a podcast avatar and apply it to a macro level: what is your podcast network avatar like? How is your network organized and managed? In your network, how will you all communicate? Will you use emails, a Slack server, a Discord server, weekly Skype meetings? If you’re going to be in a business with other people, you’ll need to keep each other accountable for episode releases, quality control, and marketing. You might find that you need to assign specific people to specific roles. Many networks start as a group of friends, but designating someone as the boss might be beneficial. You might assign someone else to social media, someone else to scheduling, etc. What will happen if there are disputes between people in your network? What happens if someone misses a deadline? What happens if a podcast starts veering off your network’s feel? Who gets to decide if and when new podcasts are brought on to the network? Who’s in charge of the money? What kind of contracts are involved? What happens if someone wants to leave the network? These are all important decisions you should consider before starting a network. It might seem cynical to take some of these things into account. They’re not fun to consider. But they are important. It’s always better to consider them early than too late. Remember, a network is a business—and that means you have to run it like a business. How will you support each other? The easiest way podcasters in a network can support each other is by reading ads for each other, or having hosts do guest spots on the other podcasts in the network. It’s an easy way to help visibility for all the podcasts involved. You don’t need a network to do any of that, though. You could just as easily set up quick agreements between all the podcasts to share ads and guests. The other main way podcasts in a network supports each other is financially. Sometimes this can be clear—certain podcast hosts, for instance, charge a flat fee for a subscription but allow you to have several different feeds—but sometimes it can be tricky. Say, for instance, you have one podcast that’s much more popular than the others. Does that podcast get more revenue, or does their revenue go to the network’s account to re-invest in marketing, better equipment, etc.? Does your network share editing, transcription, or show notes services? If so, how are the people doing those roles being compensated? And how will you support each other with the actual content of your podcasts? Will it be expected that everyone helps brainstorm possible topics for each other’s podcasts like a writer’s room for a TV show, or will everyone be on their own? So, why do you want to start a network? What will your network feel like? How are you going to handle the business of your network? And how will podcasters in your network support each other? If you can easily answer all of these questions, and you agree with the other podcasters, congratulations! It’s time to start planning your network! If you struggle with a few of these questions, though, it might be time to schedule some more meetings or go back to the drawing board. Before committing to anything like a network, you should know the specifics and make sure everyone is on board. This will help you save yourself from a lot of headache in the future. Making a network is so case-by-case that it can seem insurmountable without customized help. Luckily, The Podcast Host Academy has your back! In our Academy, you’ll be able to post all the details in our forums. There, we and our community can help you make decisions based on your specific situation. You’ll also be able to ask us directly in our live Q&A’s. We’d love to help you plan our your network in personalized detail! PreviousSamson Q2U Review | The Best Microphone for Podcasters?